It isn't just your logo. Your logo sets the tone for everything you do. No website is complete without it. People will size you up based on your logo alone. 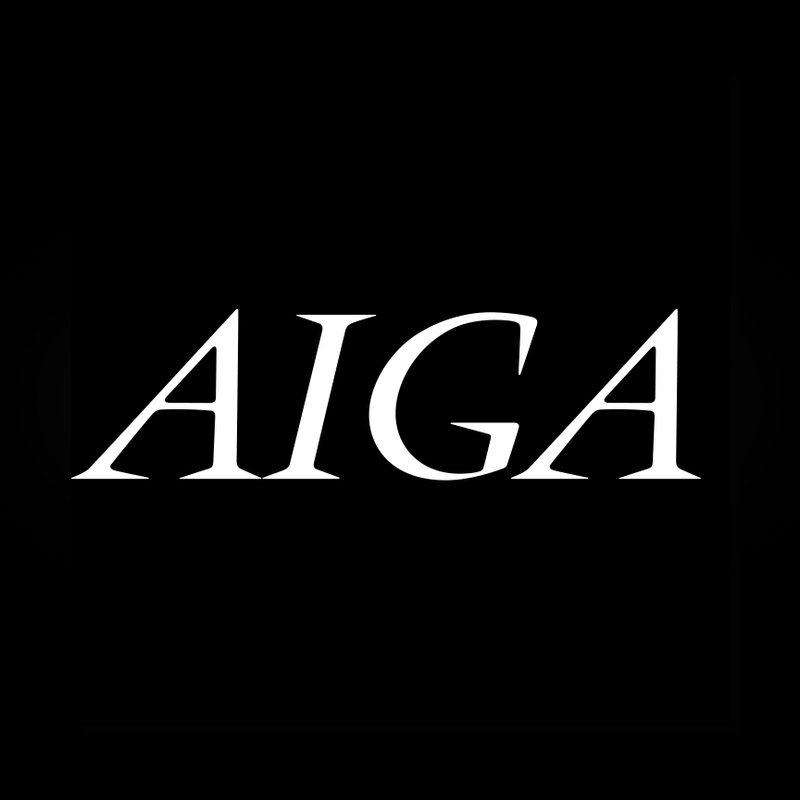 A good logo is the first step in establishing a level of trust with your audience. And no one should be in business without making sure they've established a logo that is the hallmark of their credibility. Building on this logo, or mark, becomes brand identity. Establishing your brand is critical to the success of any business. 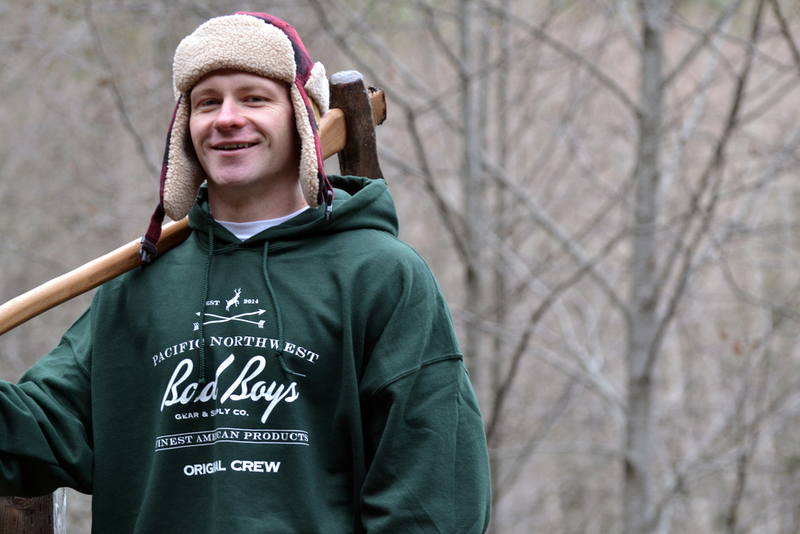 PACIFIC NORTHWEST BAD BOYS GEAR & SUPPLY CO. The most effective part of your site... and your visual presence. 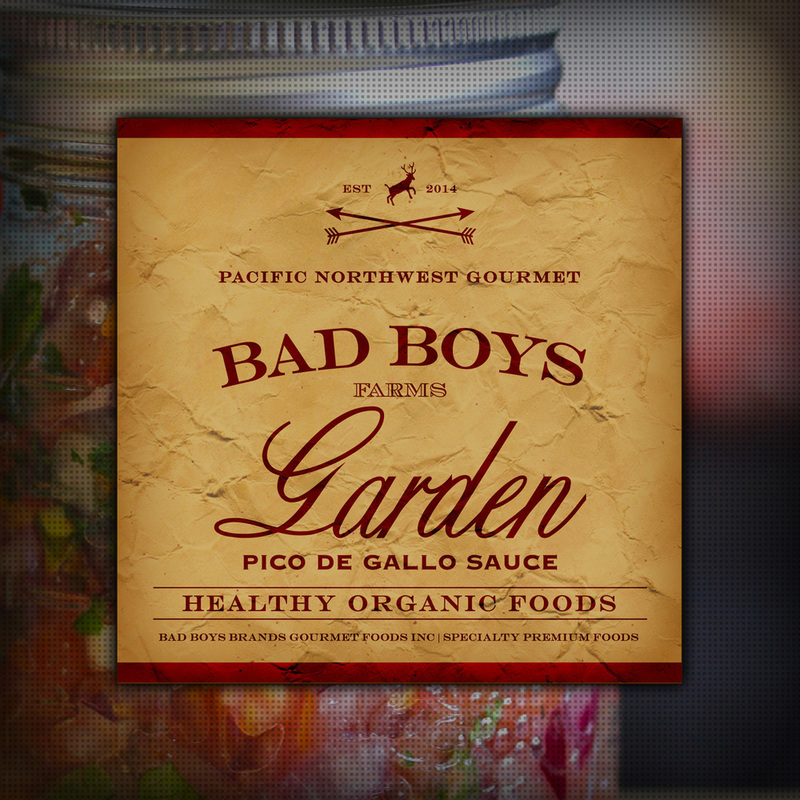 Client: Pacific Northwest Bad Boys Gear & Supply Co. Message: Quality and attention to detail are everything. A full screen image is used in a scrolling parallax format to give the viewer a sense of closeness with the site. This image changes on a regular basis and features a series of black and white images that reflect the outdoors of the Pacific Northwest Region. As the viewer scrolls down, additional black and white images appear on the site in addition to product images and descriptions. In order to keep food product packaging unique, but to make sure the brand was consistent across the board, the logo elements that consist of the arrows, the deer and the "established" date were included in all food product label designs. From that point, we had creative freedom to design a label that stood out from the crowd but was appealing and interesting. We took this a step further with the Bad Boys Coffee label. On the coffee label, we included all of these elements but created a watermark using the image of one of the models and owners fromPacific Northwest Bad Boys Gear & Supply Co.
We added some textured layers for a vintage feel, and then capped off the look using a linear pattern to create a vintage lithographed look. 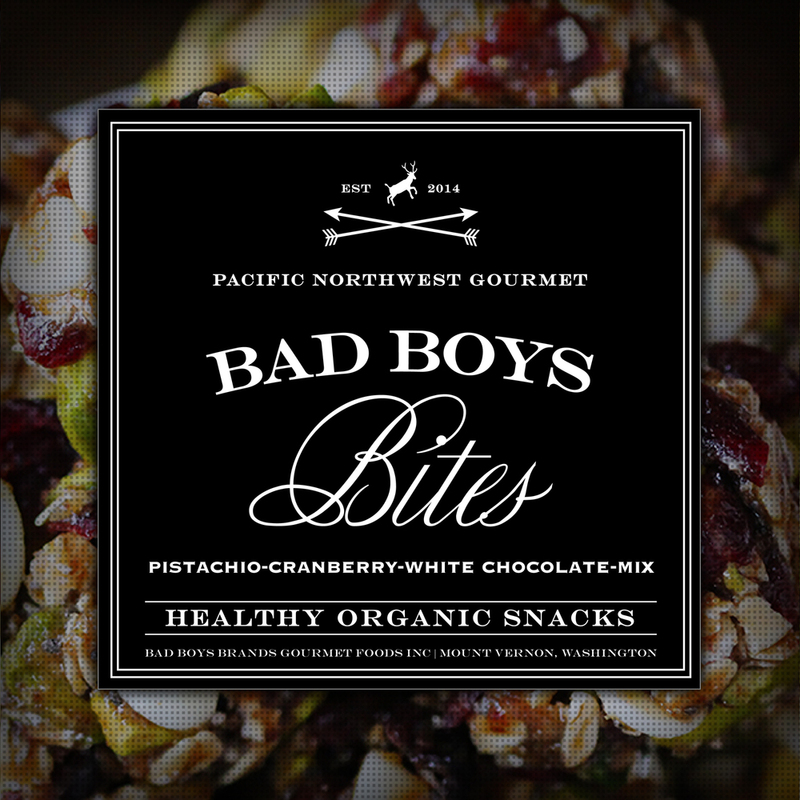 Bad Boys Coffee™ is both Organic and Fair Trade - which means it sits at a higher price point than most other products. 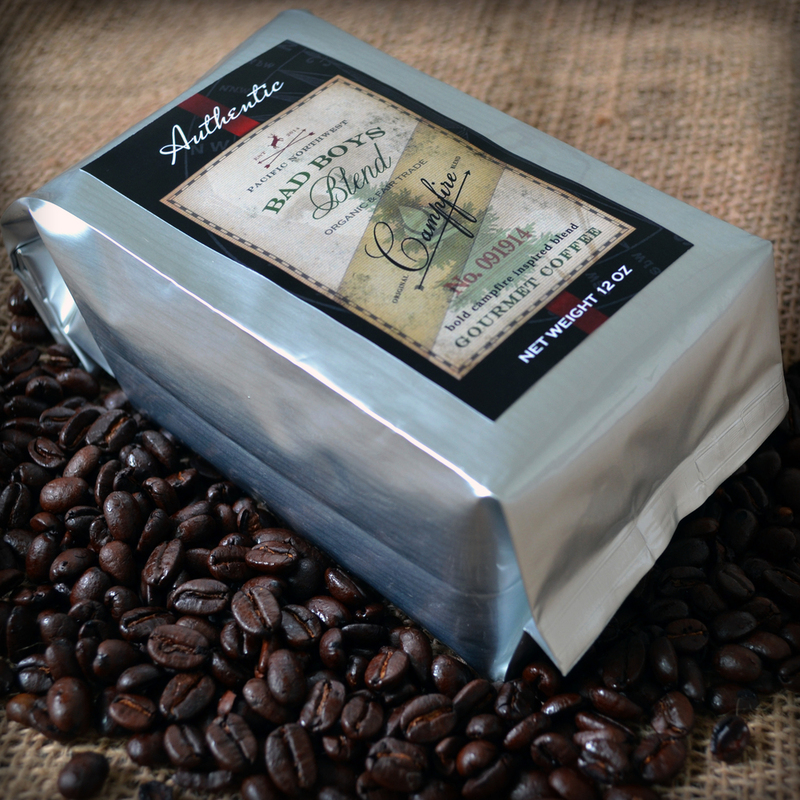 We knew that we'd be marketing to an upper bracket audience and wanted to ensure that the the client who ordered coffee through the mail had as much of an experience receiving the coffee as in ordering it. That required some packaging over packaging. 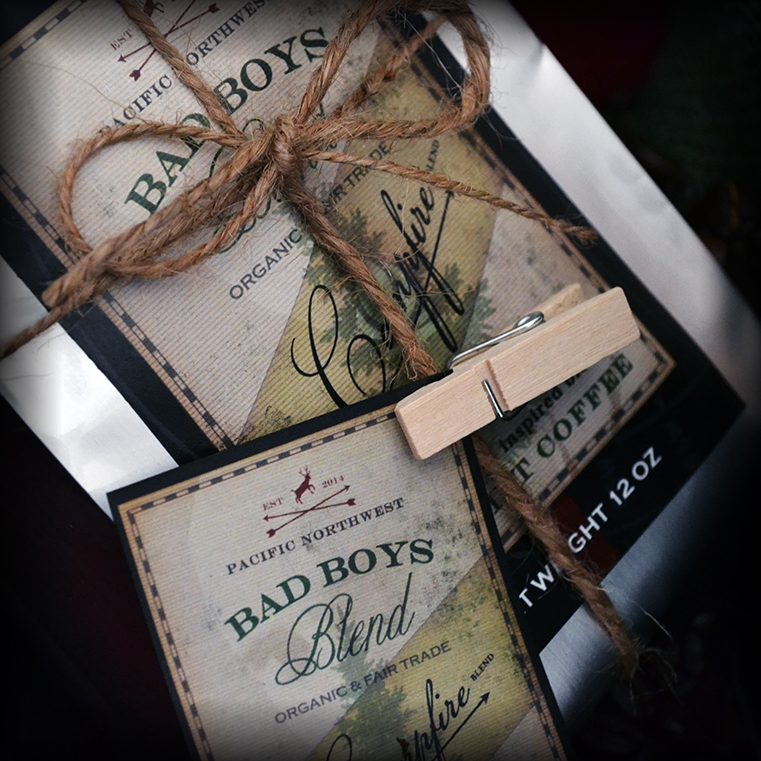 Bad Boys Coffee is wrapped in burlap, green for most of the year, and red for the holidays, is tied with string and another Bad Boys Blend label is attached using a small wooden clothes pin. The package arrives in a recycled Kraft Paper box and features a hand-written mailing label. 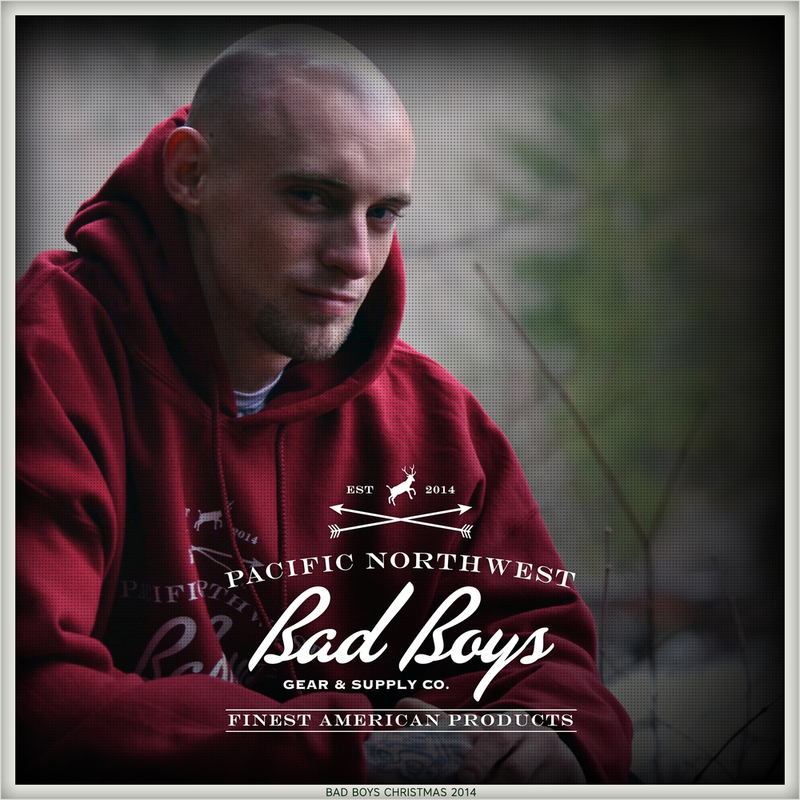 The Pacific Northwest Bad Boys Gear & Supply Co. Logo was carried over to wearable items including shirts, shorts, and boxers for limited promotional purposes. Elements of the logo were used with and without all the logo text, with the focus on keeping the arrows and deer on some items and just the Bad Boys Tagline on other items. This logo will carry over to durable goods, furniture, and camping equipment.